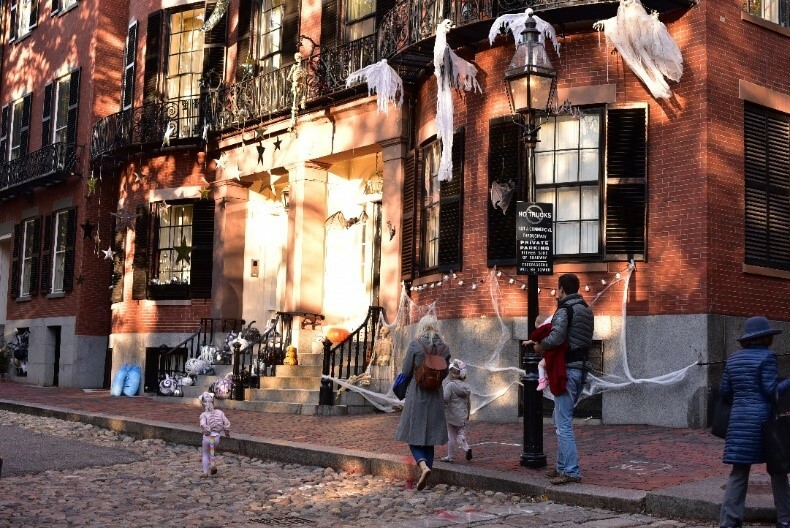 Halloween on Beacon Hill is a sight to see. 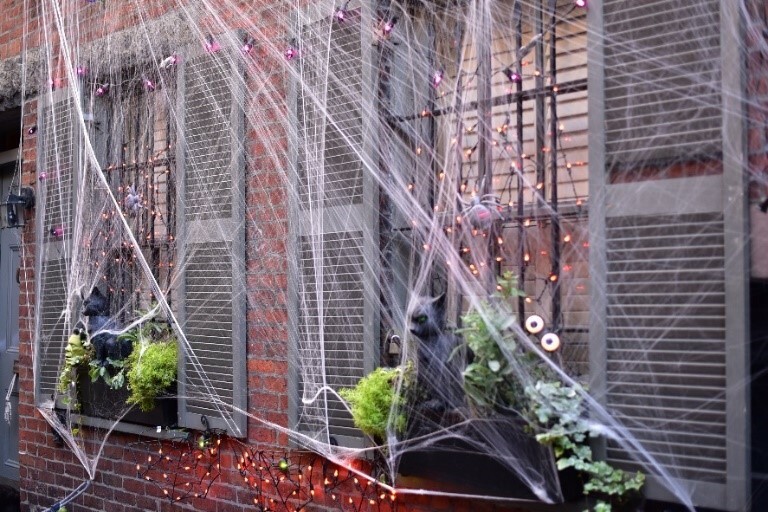 Residents decorate what is arguably Boston’s most beautiful residential neighborhood with the perfect balance of spooky decorations, glowing lights and perfectly carved pumpkins, creating a magical place to explore every October. 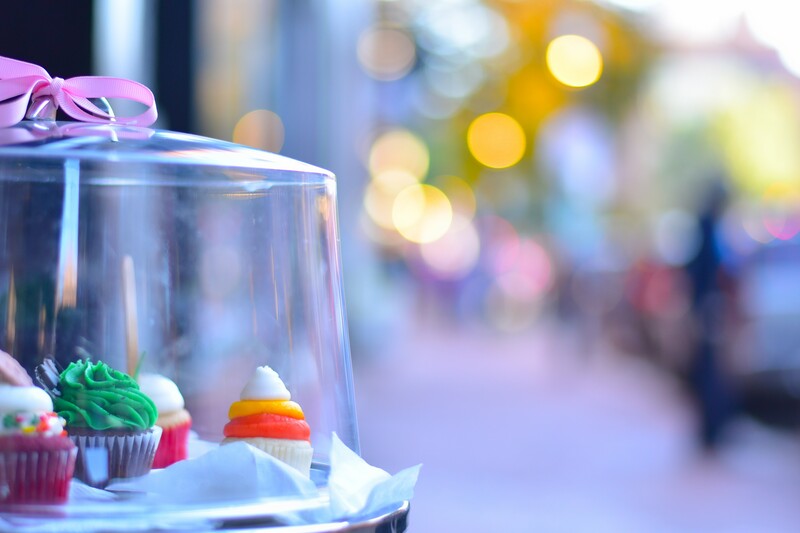 This Wednesday evening, October 31, visit Beacon Hill to indulge in sweets and enjoy the sights as well as the area’s holiday spirit and camaraderie, as families and friends, dressed as their favorite characters, adventure through the majestic cobblestone streets. The Archer Residences will also be hosting a Halloween party with delicious Italian cuisine from nearby FLORINA Pizzeria / Paninoteca. Stop by the Sales Center at 20 Ashburton Place from 2–7 p.m. for dinner with the family before trick-or-treating. In the meantime, and to gear up for this year’s holiday, read on below for scenic images from last year’s Halloween taken by Flaunt Boston. We hope to see you on Wednesday! RSVP here: 857-305-3148. 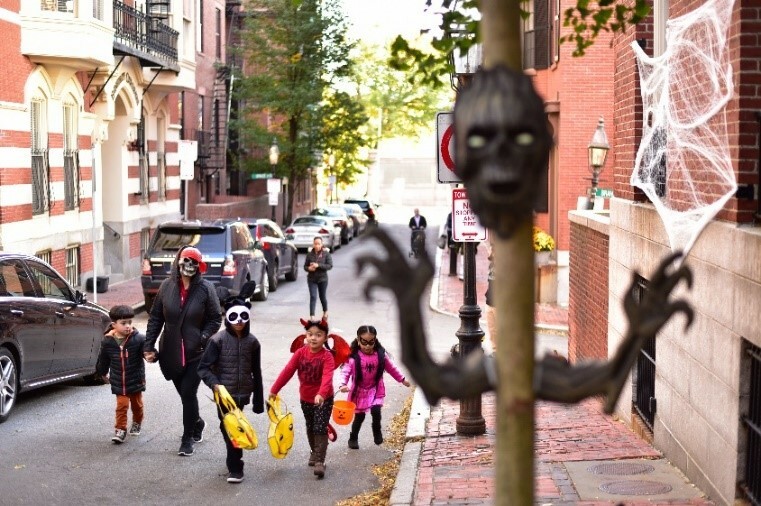 Young trick-or-treaters exploring Beacon Hill in costume. This brownstone pays homage to a holiday classic: Hocus Pocus, which is set in Salem, MA, just north of Boston. The beautiful brick facades of Beacon Hill are a great backdrop for décor. 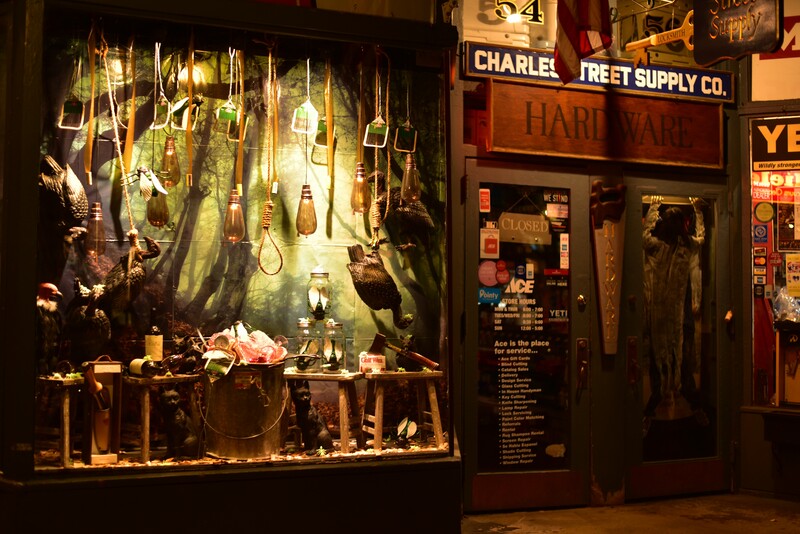 Even local businesses like Charles Street Supply Co. get into the Halloween spirit. Many bakeries along Charles Street prepare Halloween-themed desserts. 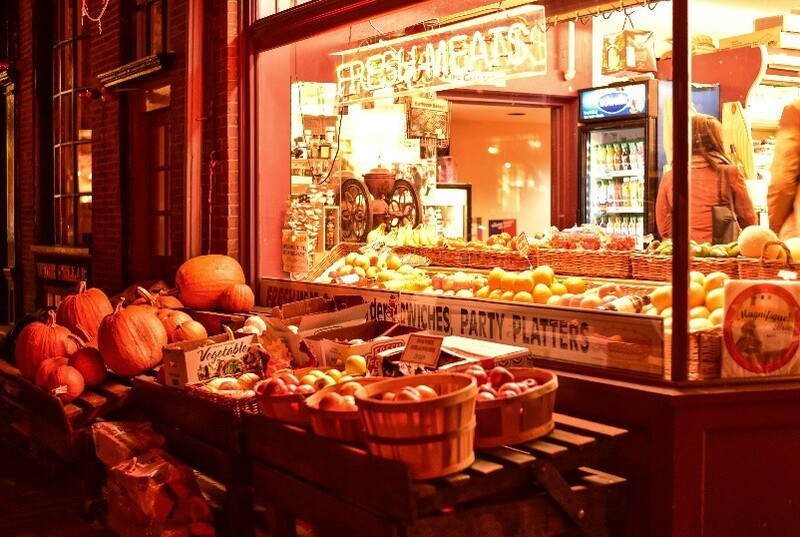 Storefronts aglow in the season’s favorite color. 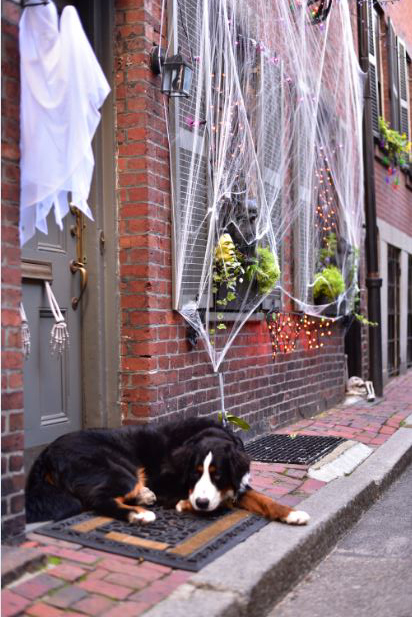 Lookout for the pets of Beacon Hill in costume. 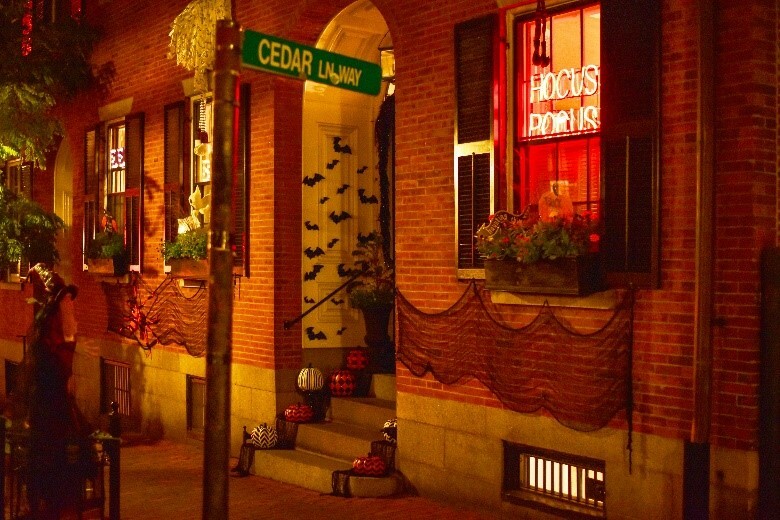 Whether you are trick-or-treating or just admiring the décor – Beacon Hill’s Halloween charm is unparalleled. Join in the picture-worthy evening by sharing your photos on Instagram with the hashtag #TheArcherResidences to be featured on The Archer Residences’ Instagram page. Continue to follow us on Instagram (thearcherresidences), Facebook (The Archer Residences Beacon Hill), and Twitter (@archerresidence) for more scenes from in and around the neighborhood, and updates on The Archer Residences, and tips for making the most of Beacon Hill living. Miss our Sales Center Grand Opening? Book an exclusive appointment or call (877) 873-9099 to connect with our sales team to learn more about the area and/or preview one of the homes today.